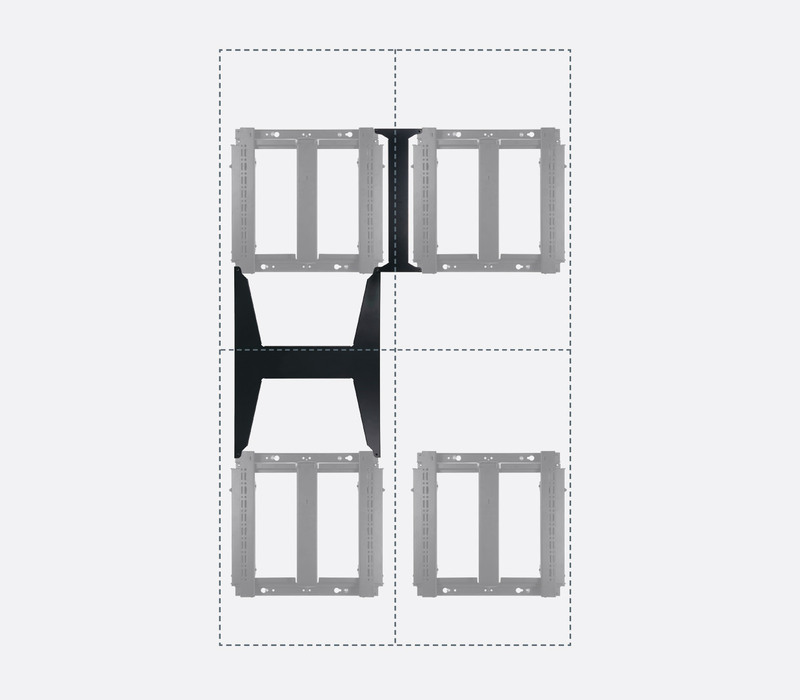 Designed for videowall installations in corporate, commercial and educational environments, these modular mounts can be used to create unlimited configurations of videowall including both portrait and landscape orientations. The models differ principally in terms of maximum load, mounting compatibilities and whether they have the facility to tilt the screen. Most have either one or two steel poles which connect with a vestigial base. The screen (s) is mounted by means of various designs of hardware fixed to circular collars which grip the poles. These may be moved up and down the poles. 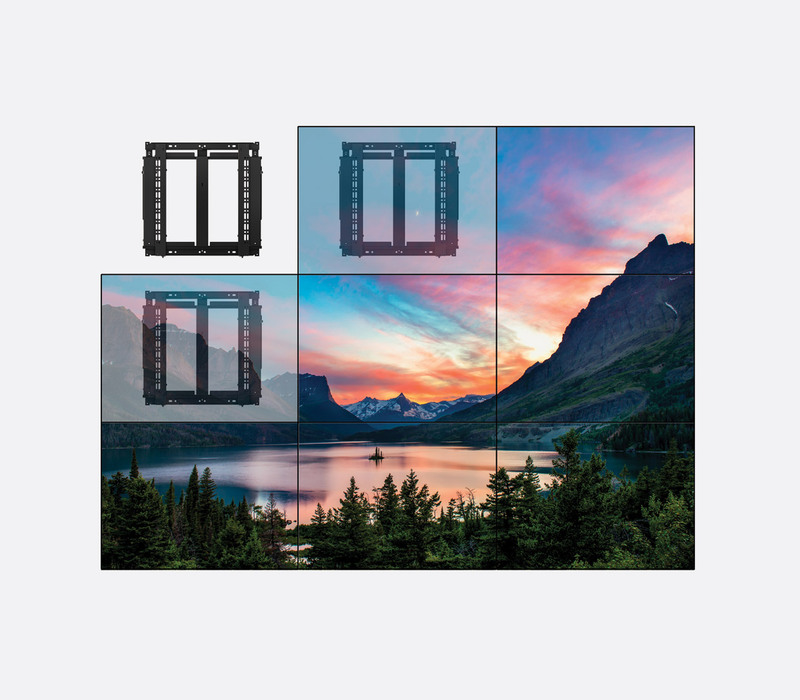 This pop-out mount has a maximum load capacity of 50kg and is designed for screens between the size of 42-70 inches in landscape orientation, or 46-70 inches in portrait orientation. BT8312 is VESA compatible with 200x100 to 400x400 as standard and adaptors are provided to enable VESA 600x400 compatibility. 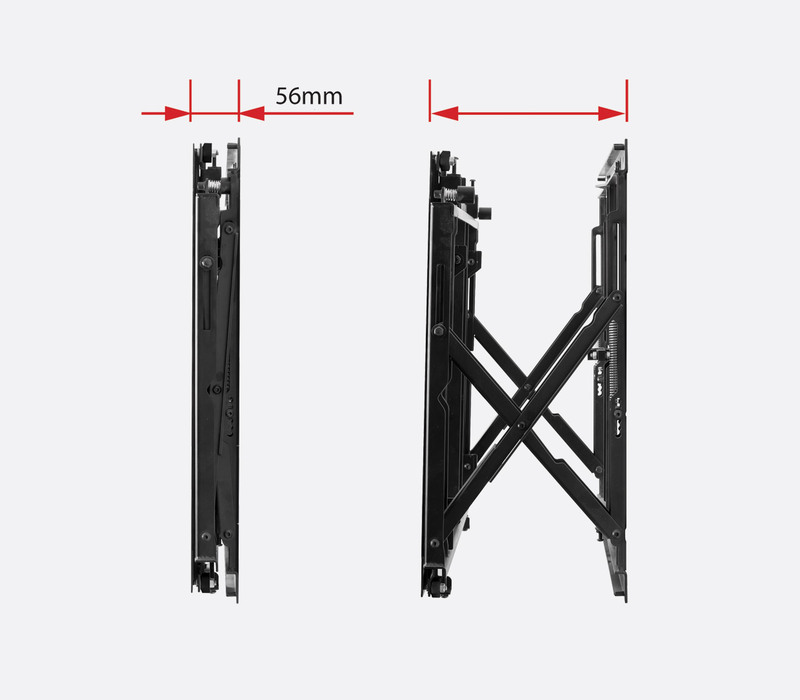 Optional BT7565 adaptor arms enable compatibility to VESA 800x400 fixings. 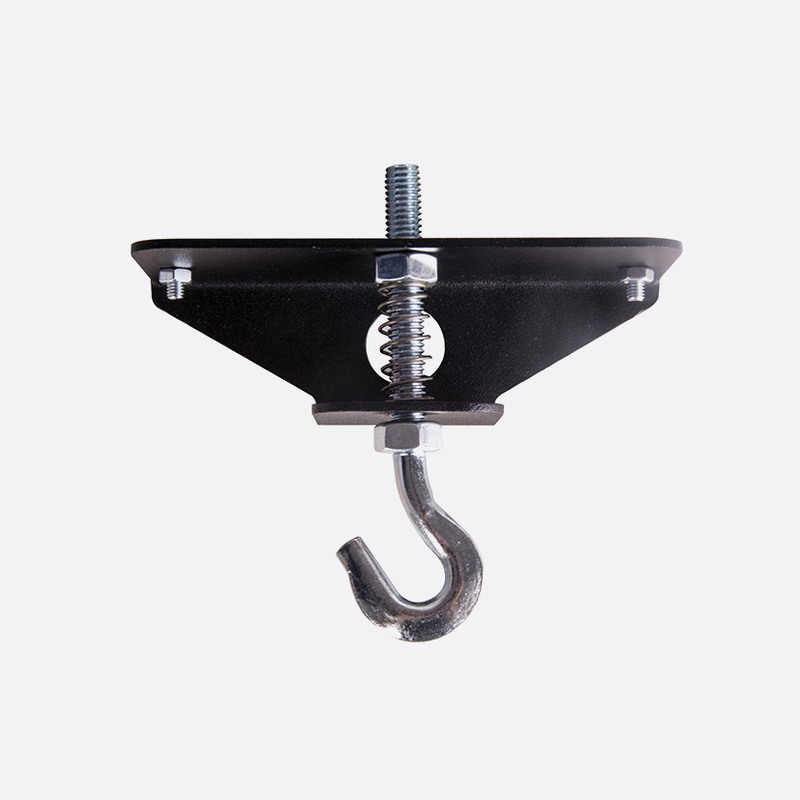 When using the VESA interface adaptors the total depth of the mount is increased by 6mm to 69.1mm when in compacted position, 240.1mm when in extended position. A ‘tool less’ micro adjustment control allows the installer to adjust +/-7.5mm per corner and adjust the screen height +15mm. 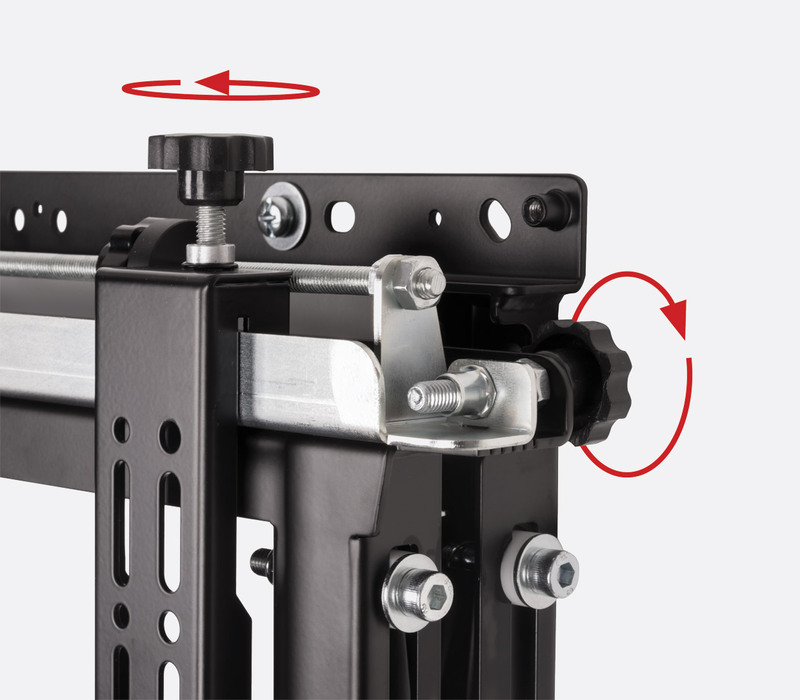 An integrated locking system helps prevent accidental mount pop-out. 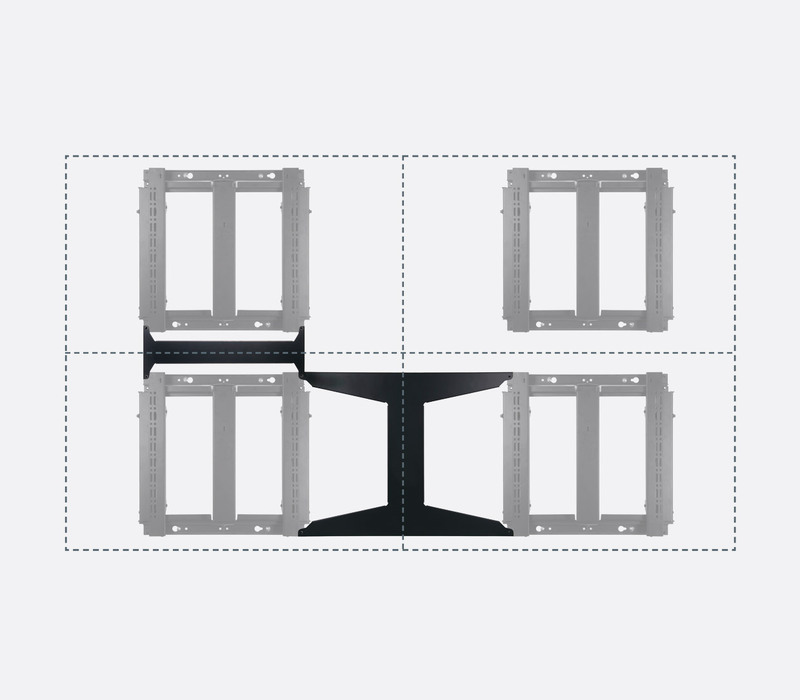 A series of spacer kits are available to aid installation position and calculation. 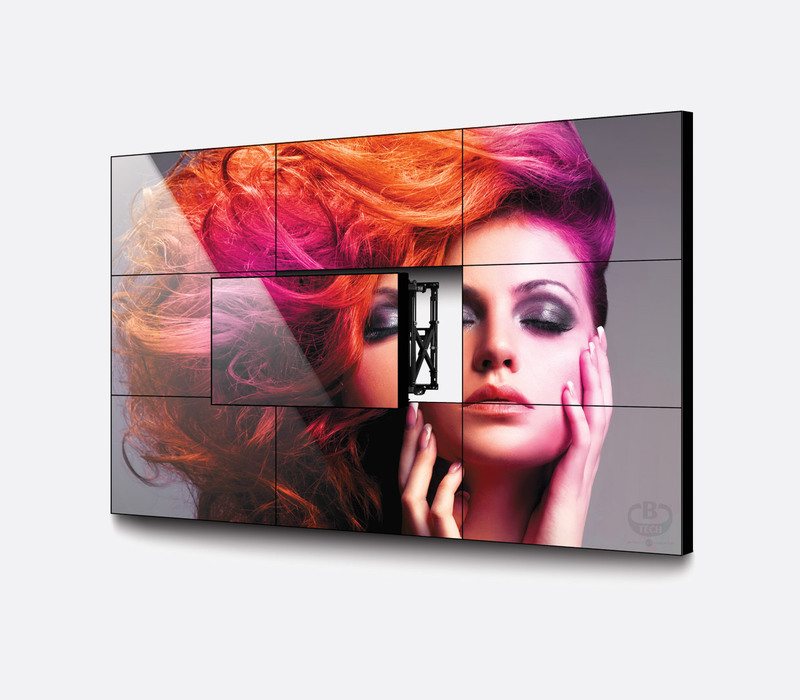 This pop-out videowall mount has many of the same features as the BT8312 and is designed for screens of the same dimensions however the weight capacity is 75kg. The ‘tool less’ micro adjustment control allows the installer to adjust +/-7mm per corner and adjust the screen height +15mm. The optional BT8310-LK locking kit disables the pop-in/pop-out function. This videowall mount does not have the pop-in/out function but is suitable for wall or pole-mounting installations. 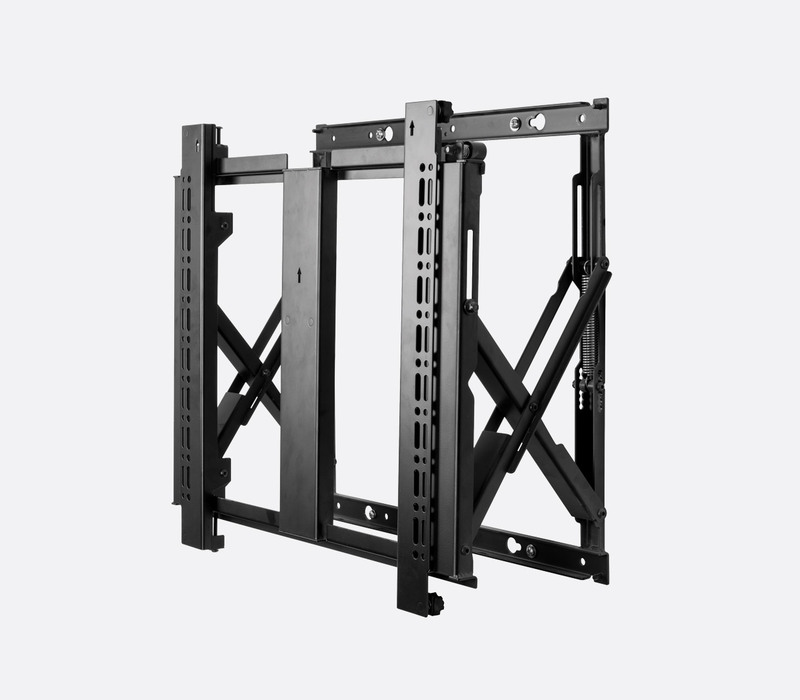 With a maximum weight capacity of 50kg, this mount is suitable for screen sizes of between 42-70 inches. VESA 200x200 to 400x400 compatible as standard, and VESA 600x400 with included adaptors. The optional BT7565 adaptor is also available to increase the compatibility to VESA 800x400. Distance from wall: 97mm, +/-7mm with micro-adjustment. Screen height adjustment: +15mm.